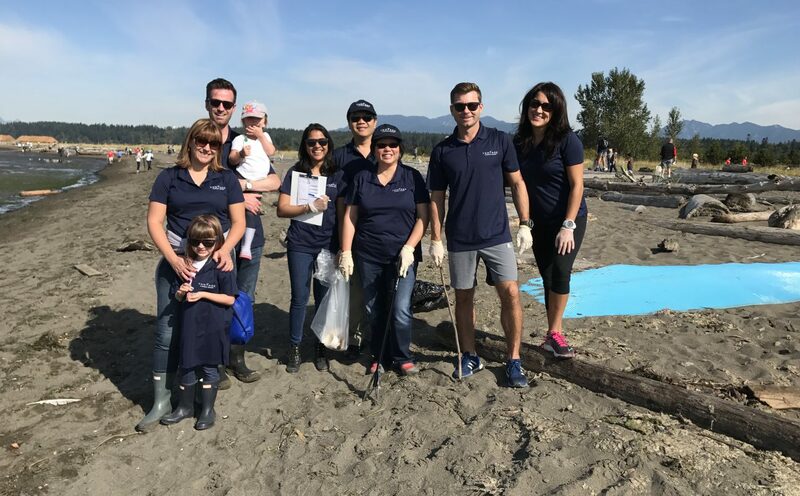 For the fourth consecutive year, Vantage Airport Group and our network airports came together to participate in the Great Canadian Shoreline Cleanup or International Coastal Cleanup by hosting local shoreline cleanup activities. With over 400 volunteers from across 7 network airports and our corporate office, 2017 marks our biggest turnout yet! From finding a chicken foot and refrigerator doors to collecting plastic bottles and cigarette butts, together, the volunteers collected over 1,400 pounds of trash from shorelines around the world. International Coastal Cleanup Day is one of the largest direct-action conservation programs in the world. Our participation helps maintain healthy and clean shorelines around our airports and is one of the many ways we work to establish a positive presence in our communities. Check out a video recap from this year’s activities below, and follow the conversation on social media at #ShorelineCleanup.